ABSENTEE OWNER – Any listing that says anything about the “owner” being out of the country for any reason (mission trips, Peace Corps, etc.) should be a red flag. These scammers will use God, mission trips and Peace Corps service as ways to gain your confidence and make you believe they are a good person. Don’t fall for it. I’ve never known a legit landlord or agent who was out of the country and was still attempting to rent their home without a local presence. If it is legitimate, they can collect the deposit in person once they return. KEYS – They can’t meet you at the property? They don’t have the keys right now? Yeah, no. Never rent something if you can’t get inside to take a look. If they don’t have keys or access to the house, how will you get access once you have possession of the property if you rent it? This is a huge alert, don’t ignore it! It is always better to rent in person, if possible. Of course, there are times when this is unavoidable and I have had many tenants that have rented without previewing the property first. However, make sure the person you are dealing with is reputable and does not put up some of the other red flags! TOO CHEAP – The biggest red flag is usually the price. If it’s a 3,000 square foot house with granite countertops and all the bells and whistles advertised for $500 monthly rent, there is a problem. If it sounds too good to be true, it probably is. FOR SALE TOO – The house is also listed for sale with an agent, but the rental advertisement is not the same contact info as the real estate agent’s listing…big screaming red flag. No agent would take a listing that was for rent by another source. STRANGE EMAILS – If you are in email or text correspondence with the “landlord” and the message starts out with “Dear Sir / Madam,” the English is generally very poor, has strange word capitalizations, unclear contact info, sketchy reasons for being unable to meet in person, or reasons why their ad doesn’t match up with other ads…it’s a scam. WIRED FUNDS – If they ask you to wire funds to an offshore account, or they tell you they will send you a money order and you will cash it for them and reimburse them the difference, or anything else that feels remotely shady….Run! It’s a scam! A true rental will have lease paperwork to sign at the same time as collecting the deposit. Legitimate leases don’t feel shady. DRIVE BY – Take a drive by the house. When you drive by, is the sign in the yard the same contact info that was on the ad? If you are unsure, call the agent’s number on the sign in the yard and tell them you are calling to verify the rental ad you saw on this property. He/she will tell you very fast if it is legit! The scammers will try to fool you to disregard the sign in the yard for whatever reason (the agent hasn’t picked up sign yet, the agent was fired, etc.). Always check. If that is the case, the Realtor® will tell you. The odds are if there is an agent’s sign in the yard, the house is still listed for sale. Keep an eye out on local rental listings to make sure yours is the only one that is posted for your property. Scammers will steal your pictures (or sometimes a combination of your exterior photos and another property’s interior photos) along with your property address to post the fake listing. If you catch a spammer, report it to the site immediately–don’t just flag it, call/email/smoke signal to the website it is posted on so it will be removed quickly. The websites take spammers seriously and will get it removed. The faster it is removed, the less likelihood that someone will get ripped off or that you pull up to the property and find someone trying to move in. If you receive emails or calls for a potential renter with the same type of strange emails with offers to wire payments or mail money orders with a partial reimbursement–it is a scam! The bottom line in avoiding a scam is to use common sense. If it sounds too good to be true, it probably is. 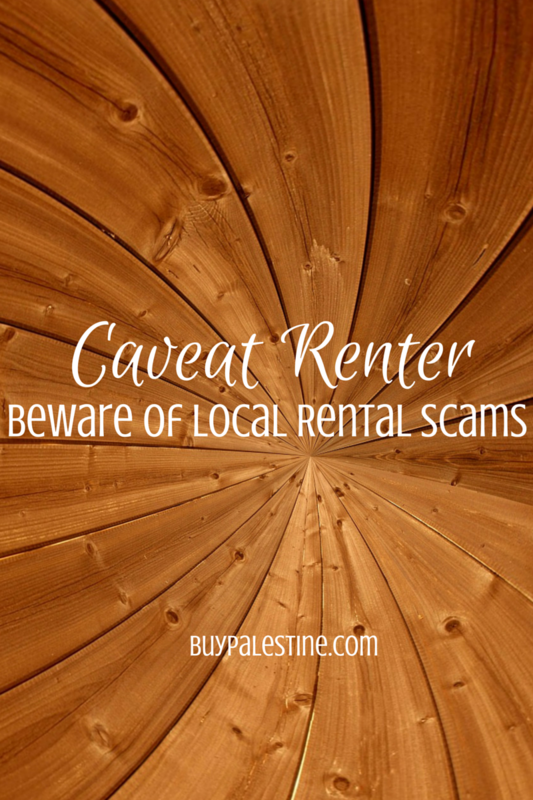 Are there great rental deals from legitimate sources out there? Absolutely. However, it pays to do a little homework to make sure you are dealing with the actual owner and not an email con-artist. I would like to note that I have not heard of any of these types of scams run by locals, they are all perpetrated by people that have probably never even stepped foot onto our lovely East Texas soil. The internet is great, but keep your antenna up and be aware out there. Lisa E. Priest hates a thief and is an East Texas Area REALTOR® and Property Manager with Picket Fence Realty, Inc. You can reach her via phone or text at 903-948-3343 or read more at BuyPalestine.com.